The most commonly used method for studying cells is effective, but not as efficient as it could be, as cells are typically destroyed in the classification process. This makes it difficult to study live cells after they have been classified. CBio, a Wayfinder team and current tenant of CalIt2, is flipping the world of cell research on its head by unveiling its first-generation suite of technologies: their proprietary cell-sorting technology, cellPhoresis™, and multifunctional live cell analysis tool, Vision™. Pulling from his experience in taking university research and converting it into commercially viable projects, CEO David Charlot and his team have created a faster, more efficient way to study live cells. This method will allow the acceleration of solutions in agriculture, biology, clean tech industry and defense. By combining the fundamentals of microfluidics and electrical fields, the hardware efficiently separates and identifies cells based on their electrical signatures – or electrokinetic mobility ratios (EKMr) – which are unique to every cell based on morphology, membrane structure, internal contents and other biochemical differences. By studying live cells using EKMr signatures, it will not require physical interference of the cell. The technology has already demonstrated its superiority, as cellPhoresis™ has been used to quickly distinguish the life-threatening Methicillin-resistant Staphylococcus aureus (MRSA) from the virtually identical but more treatable Methicillin-susceptible Staphylococcus aureus (MSSA). In addition to the fast identification, the pathogens remain viable for additional testing – a feat not possible with other methods. This use has the potential to help physicians make informed treatment decisions earlier and save lives. CBio’s current focus is raising capital and validating their hardware in wet labs and research environments. To learn more about CBio or to request a demo of their hardware, click here. *Featured Photo courtesy of: CBio. 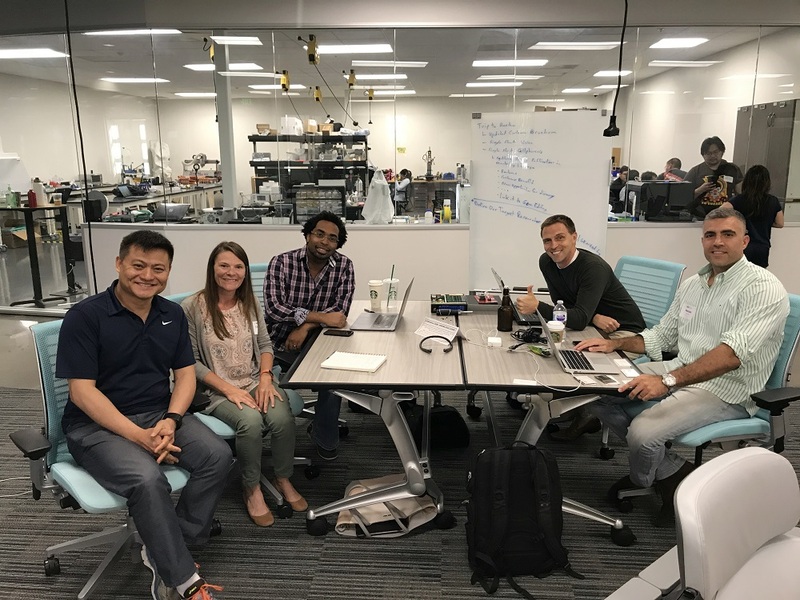 Pictured, from left to right: Albert Hsieh (consulting CTO), Chassidy Johnson (consulting CSO), David Charlot (CEO), Ken Bright (consulting CFO), and Messias Soares (VP, Product Marketing).